Its been too long since I’ve featured our fabulously creative furry friends from the far East… Enter ‘Kotaro now calling on Fureburu’… or on Twitter @chiyochanp. 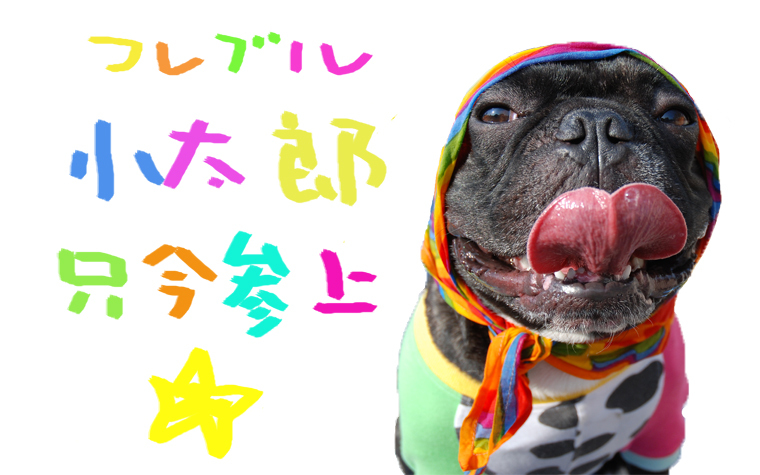 Translation never does either party any justice, but this colorful jelly-bean-crazy Frenchie is some serious foreign fun. Spoiled child at home. Outside the rowdy. What’s Really Kotaro is which? ? via Kotaro now calling on Fureburu ☆.